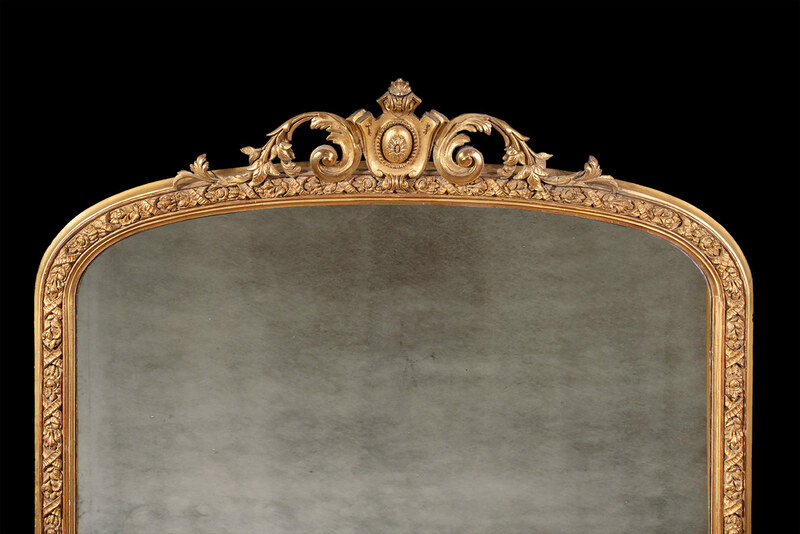 A large Victorian over-mantle mirror of arched outline. 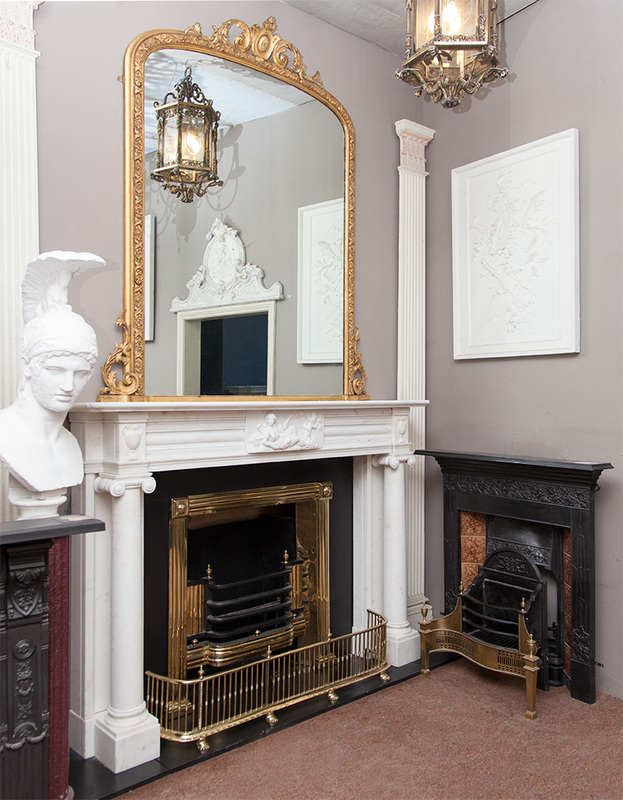 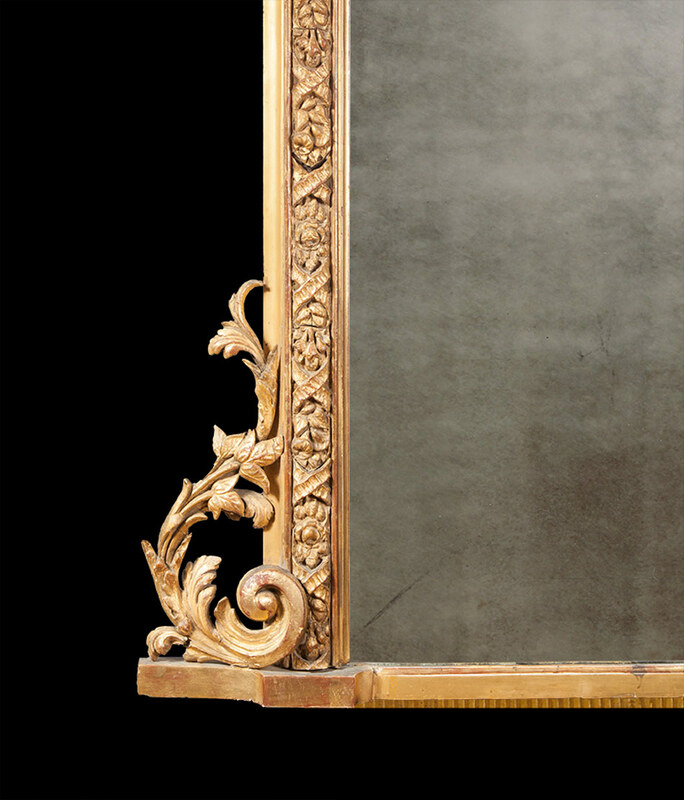 The decorative frame surmounted by an ornate foliate pediment with matching flanking carvings to the base. 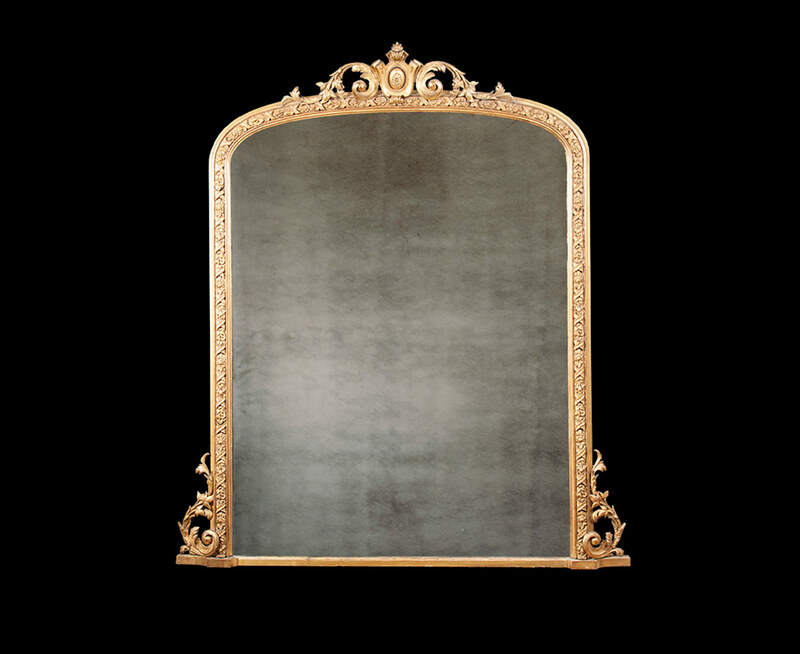 The original gilding is in good condition, great colour and a difficult size piece to find.